With this blog, we would like to inform you that the 3rd edition of the Business ByDesign Video Training is available now. Compared to the 2nd edition the content of the training was updated and all demos are now based on Business ByDesign 1711 with HTML5. The table of content of the 3rd edition of the video training looks as followed. 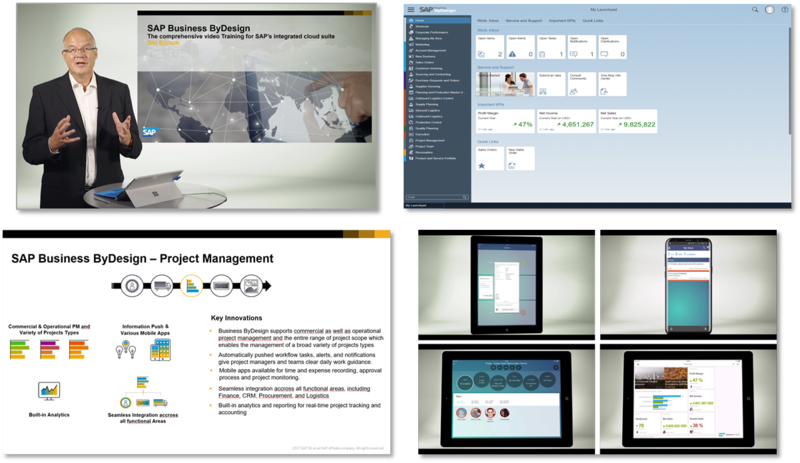 We hope that you enjoy the 3rd edition of the Business ByDesign Video Training. Please click here to open the video training and get started.